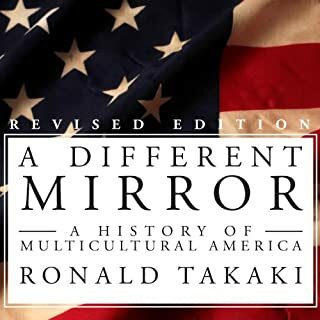 Upon its first publication, A Different Mirror was hailed by critics and academics everywhere as a dramatic new retelling of our nation's past. Beginning with the colonization of the New World, it recounts the history of America in the voice of the non-Anglo peoples of the United States---Native Americans, African Americans, Jews, Irish Americans, Asian Americans, Latinos, and others---groups who helped create this country's rich mosaic culture. Would you try another book from Ronald Takaki and/or Peter Berkrot? This audio does not have the full book. The book is 4 sections and it ONLY has 3!!! !